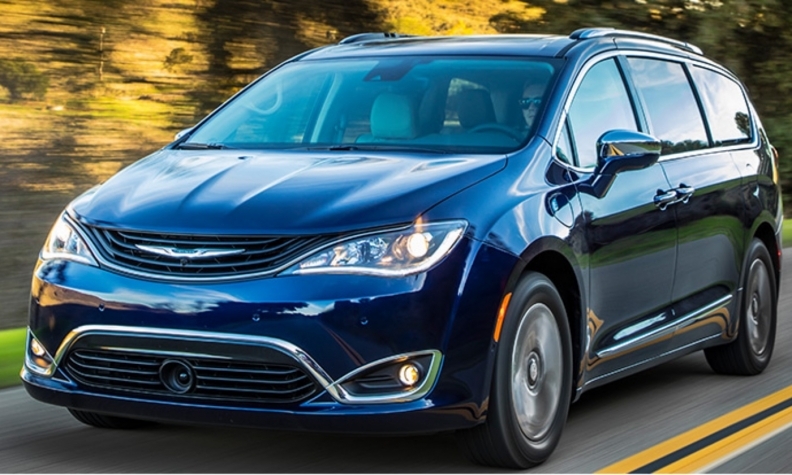 Fiat Chrysler is once again assembling Pacifica Hybrid minivans after a problem with certain diodes in the vehicle briefly halted production for a few days, say sources with direct knowledge. The automaker started voluntarily recalling an estimated 1,368 hybrid minivans in the United States and another 309 in Canada on June 9 to upgrade faulty diodes that could lead to “propulsion loss.” According to a post on FCA’s website, feedback from a small number of customers led to the discovery that certain diodes in the vehicle may stop functioning and cause the problem. That led FCA to temporarily stop production at its assembly plant in Windsor, Ont., according to the Wall Street Journal. But sources within the plant say production fired back up during the week of June 19 and was running Monday. Fiat Chrysler did not publicly disclose the suspension of production. Unifor Local 444 President Dino Chiodo, who represents workers at the assembly plant, couldn't be reached for comment as he meets with FCA executives in Italy this week. “We don’t have anything to add beyond the recent statement on the media site,” FCA Canada spokesman Brad Horn said in an email Monday when asked if production had been stopped. Angela Bianchi, the spokesman for FCA’s minivan, Fiat 500 and Jeep Renegade divisions didn’t respond to requests for comment. Shipments of the Pacifica Hybrid got off to a slower-than-anticipated start this spring. The minivan was originally scheduled to arrive at dealerships in volume in early 2017. A specific date was never given but shipments began in earnest in April 17. Because that was a date much later than anticipated, the automaker offered Canadian and U.S. customers who ordered a Pacifica Hybrid before March 30 their choice of a Level 2 charger or $500 prepaid Visa gift card. The Wall Street Journal reported June 26 that FCA officials saw the latest delay as a temporary setback and told the newspaper that Pacifica Hybrid production would resume in time to meet outstanding orders. “Chrysler does a very poor job of launching new products,” he was quoted as saying. Meanwhile, Alphabet Inc.’s Google autonomous vehicle research team, named Waymo, has about 100 Pacifica Hybrids in its self-driving fleet and has ordered an additional 500.